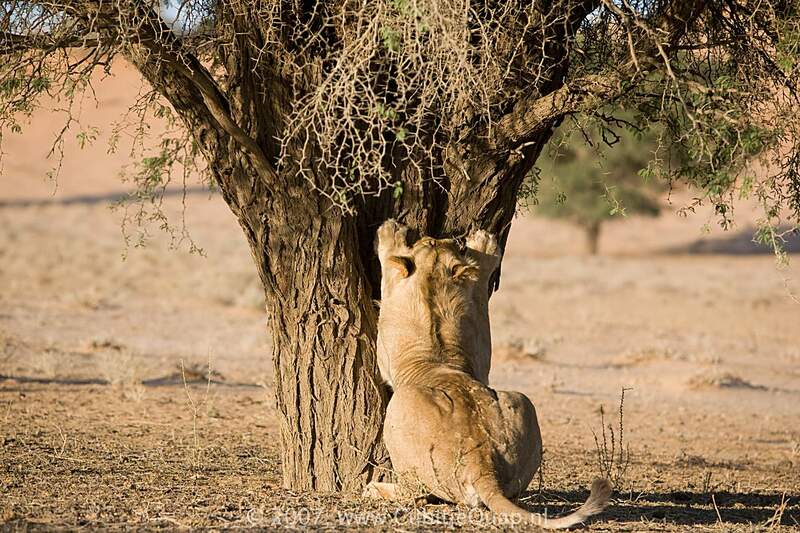 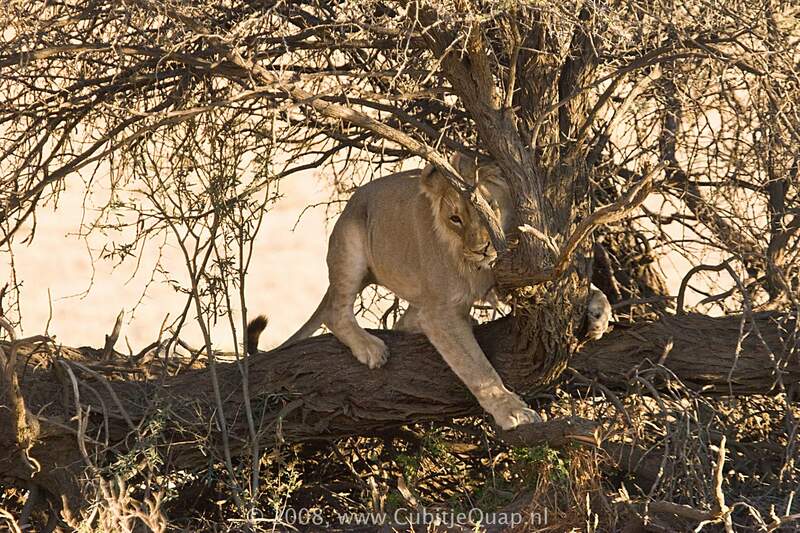 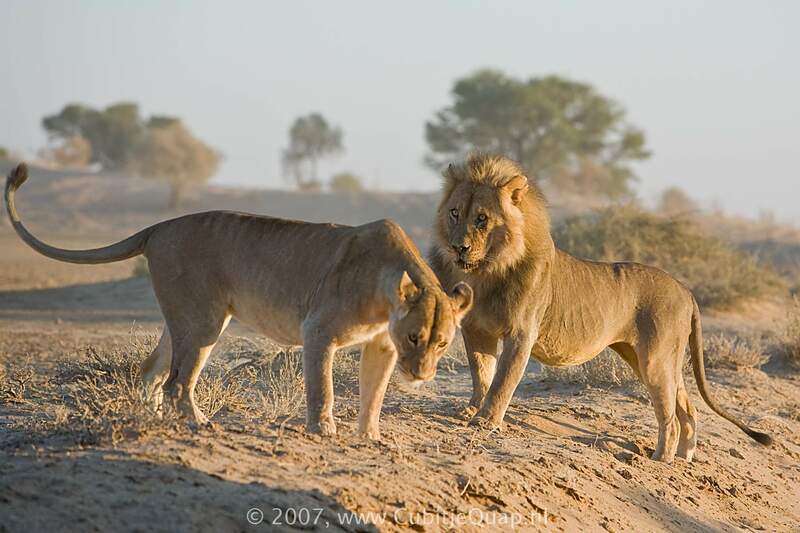 Largest of the African cats and adult males and females are easy to tell apart. 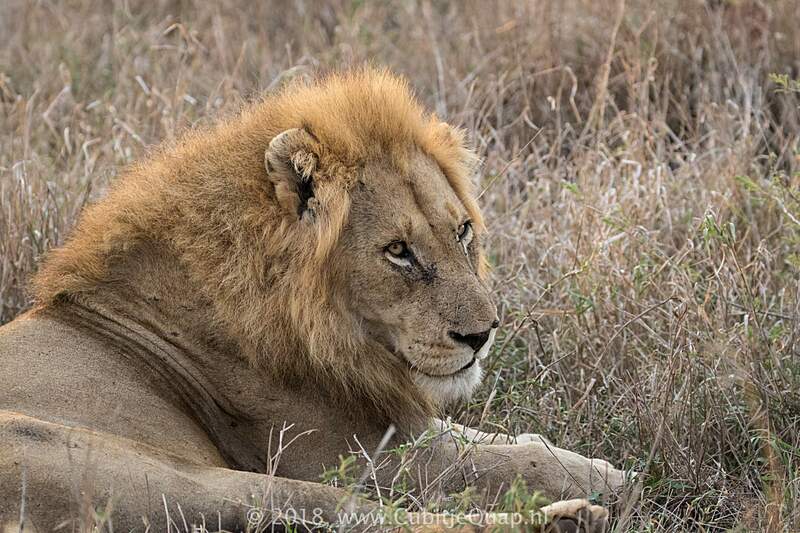 Body colour ranges from reddish-grey to pale tawny with lighter underparts. 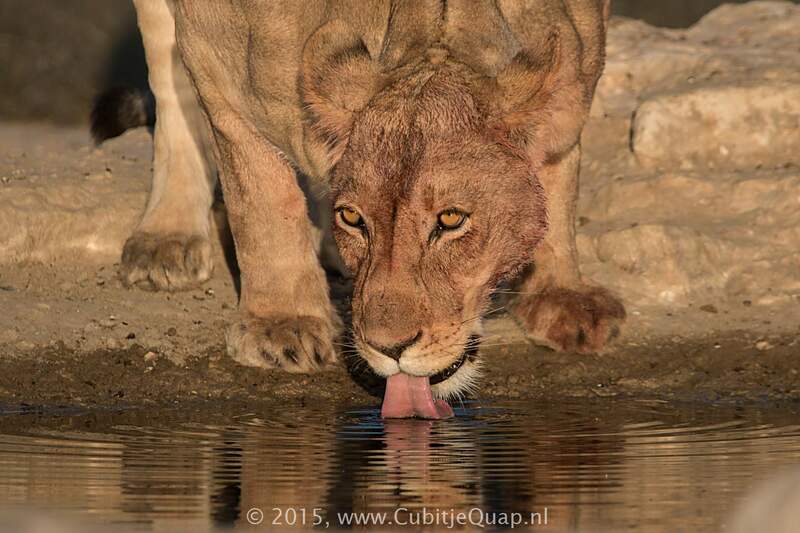 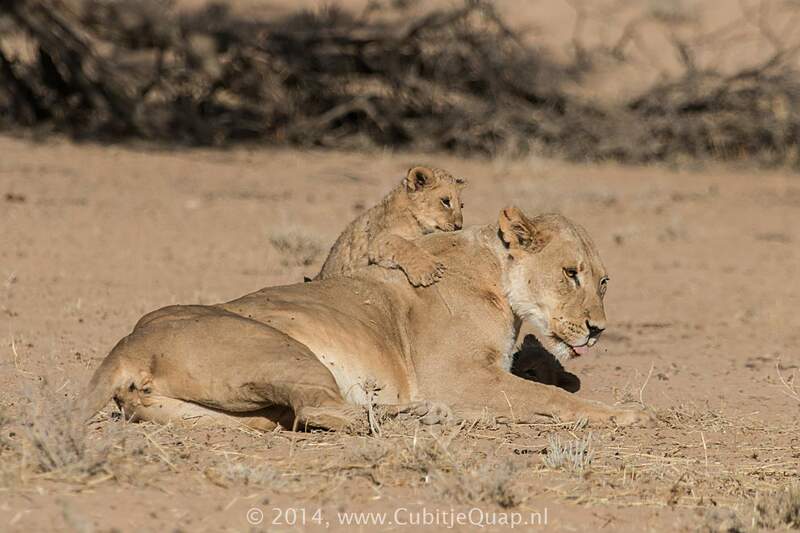 Although faint spots are present on the sides of cubs these are usually lost by adulthood. 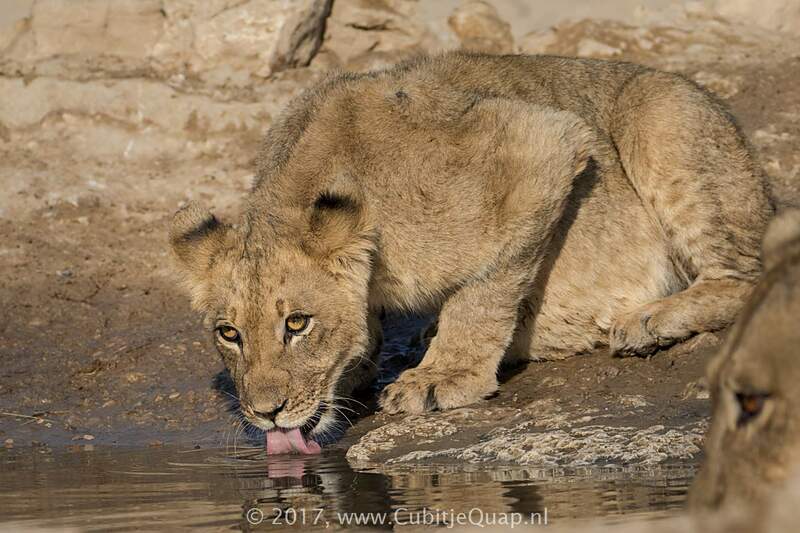 Tail is short-haired and same colour as rest of body but has a dark tip. 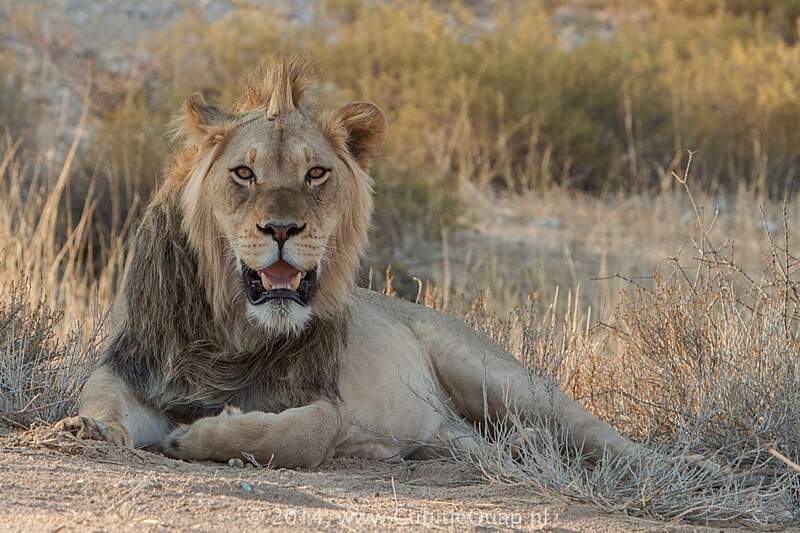 Only the adult male carries a mane of long hair, extending from the sides of the face onto the neck, shoulders and chest. 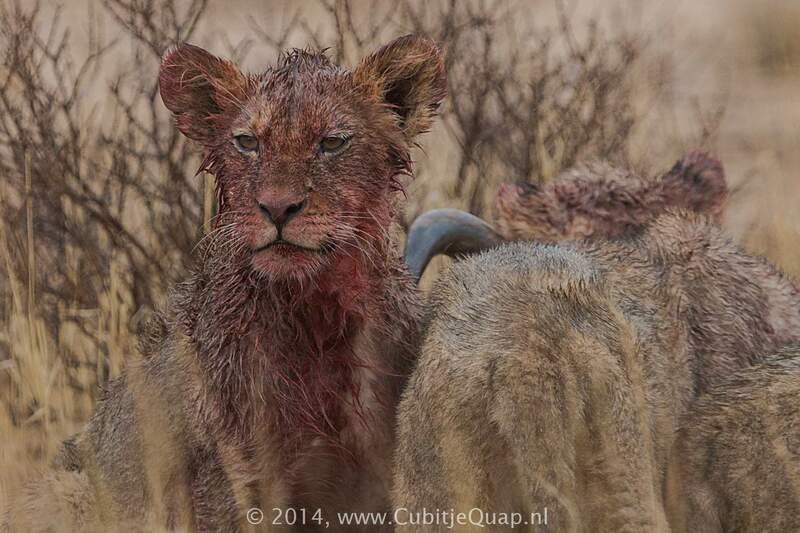 Mane colour ranges from pale tawny to black. 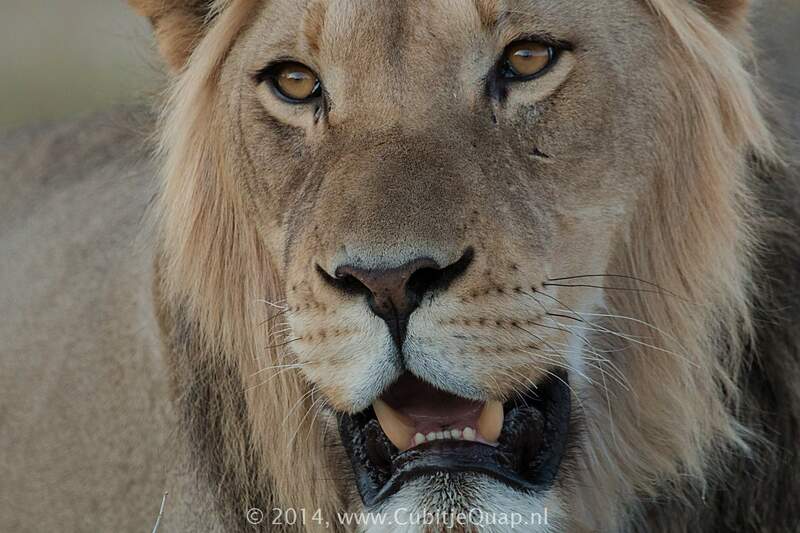 'White' lions from the South African Lowveld are not true albinos but are genetic variants with strongly reduced pigmentation. 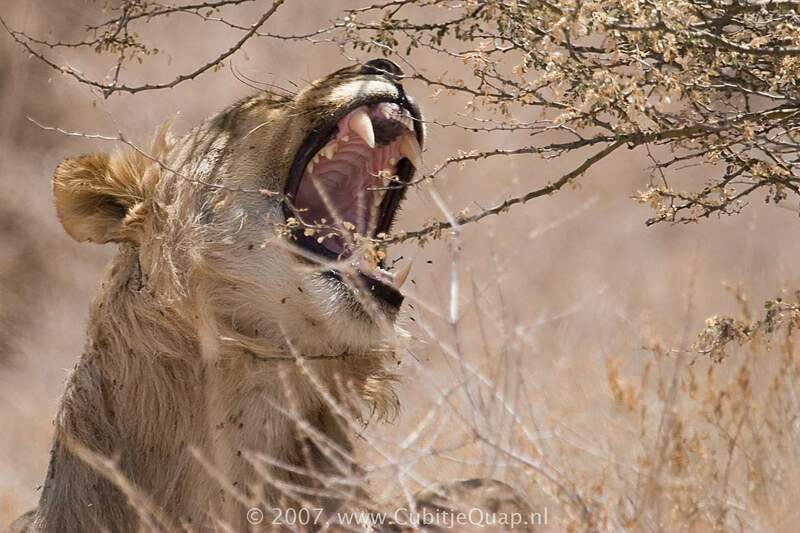 The lion has a wide habitat tolerance, from desert fringe to woodland or open savanna, but is absent from equatorial forest. 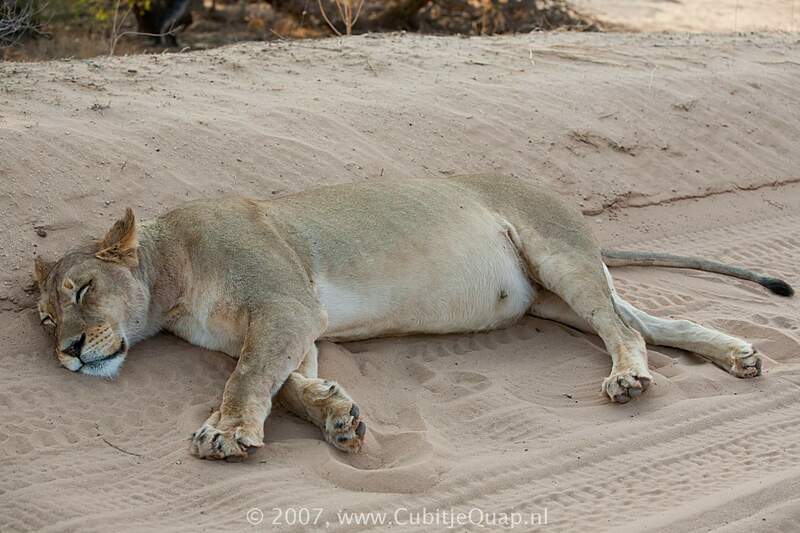 It is the most sociable member of the cat family, living in prides of 3-30 individuals. 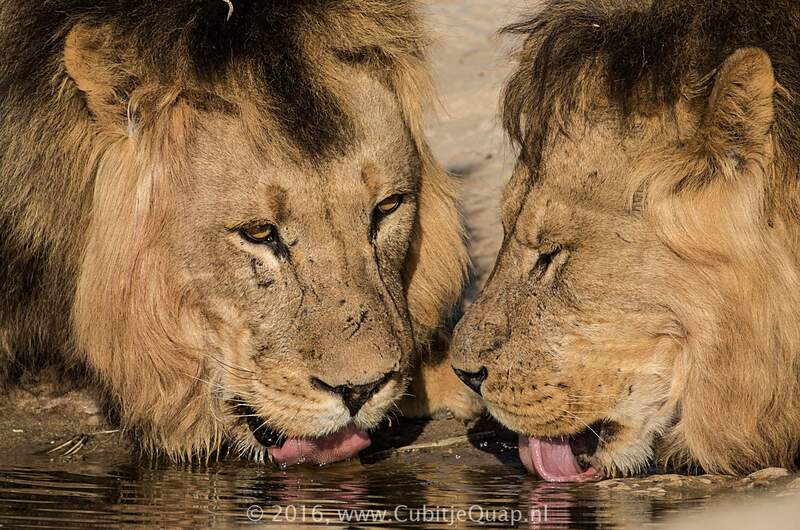 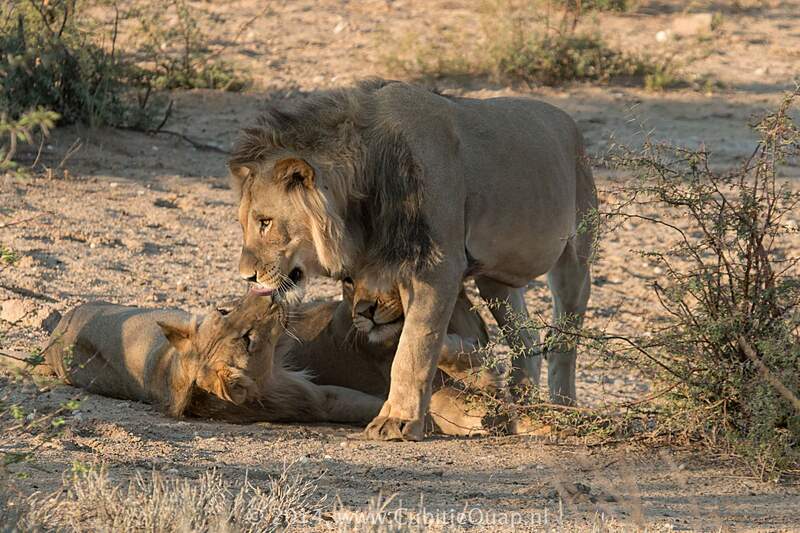 Pride size varies according to the area and prey availability. 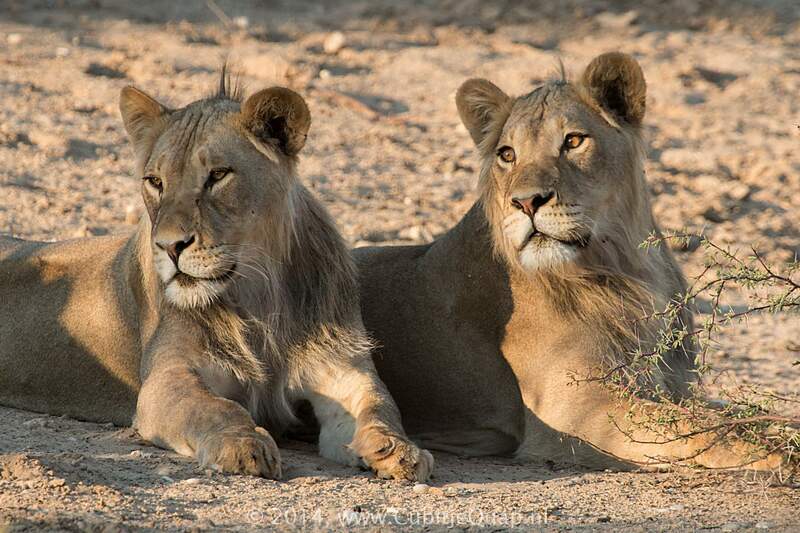 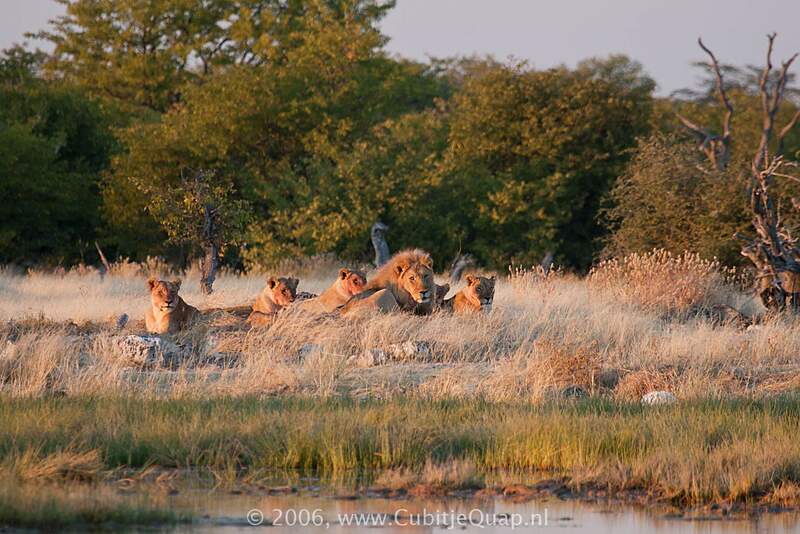 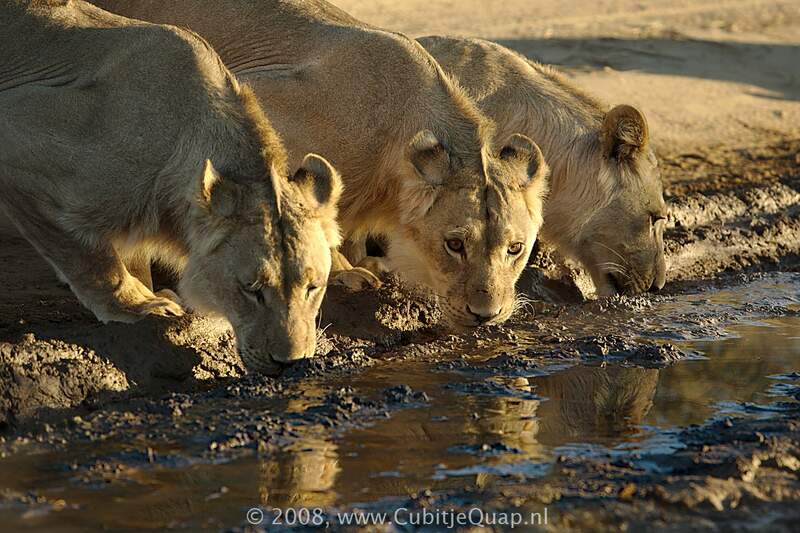 In Botswana prides usually six or fewer individuals, whereas average pride size in Kruger National Park is about 12. 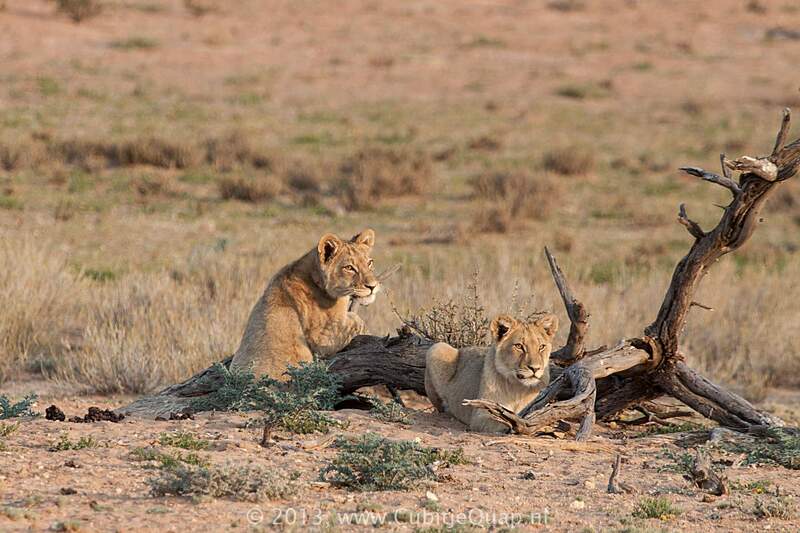 Prides normally consist of from 1-4 adult males, several adult females (one of which is dominant) and a number of subadults and cubs. 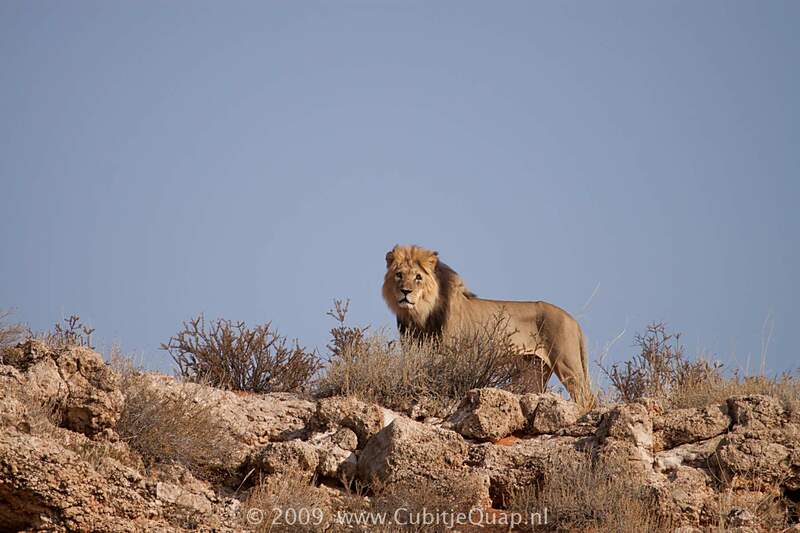 A pride area or territory is defended against strange lions by both the males and the females but some prides and soletary males are nomadic. 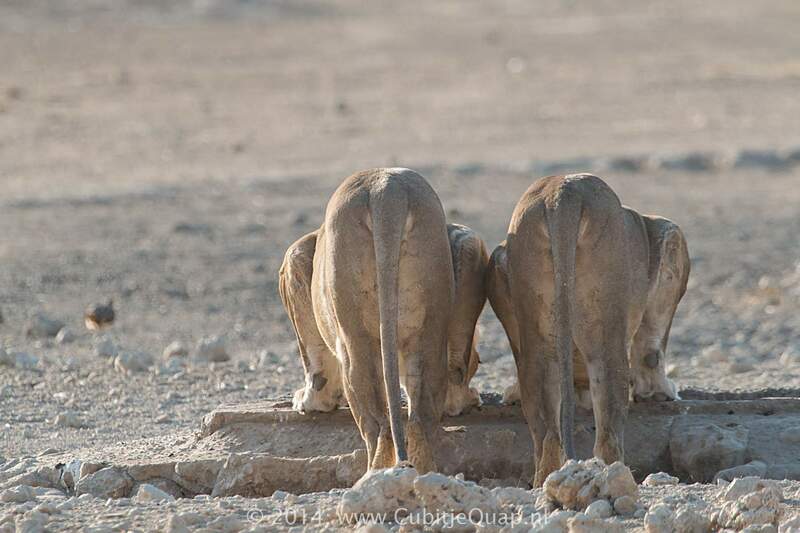 Territories are marked by urine, droppings and by earth scratching. 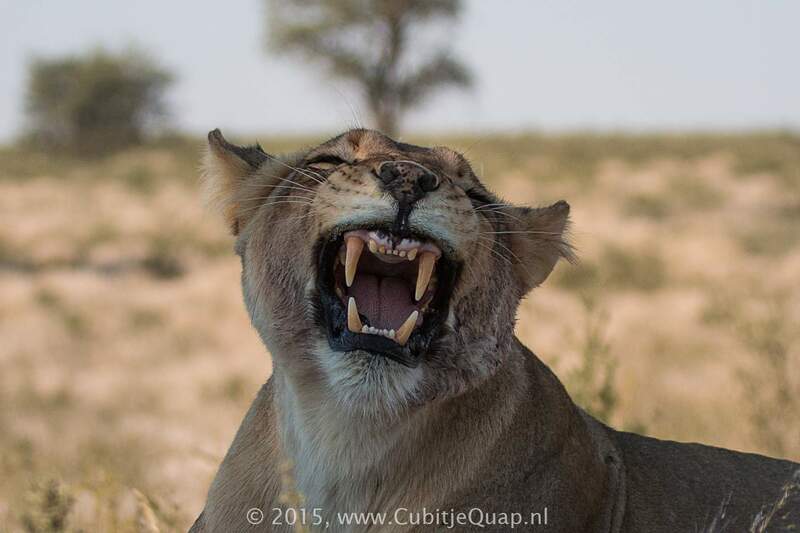 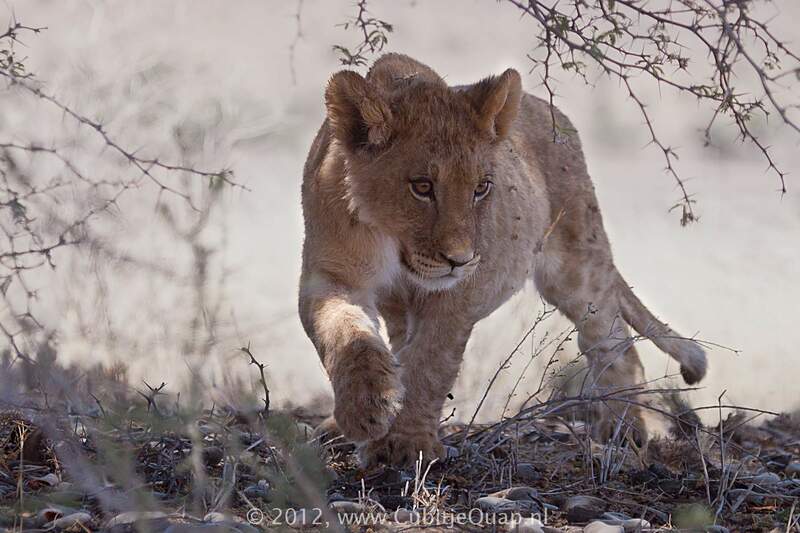 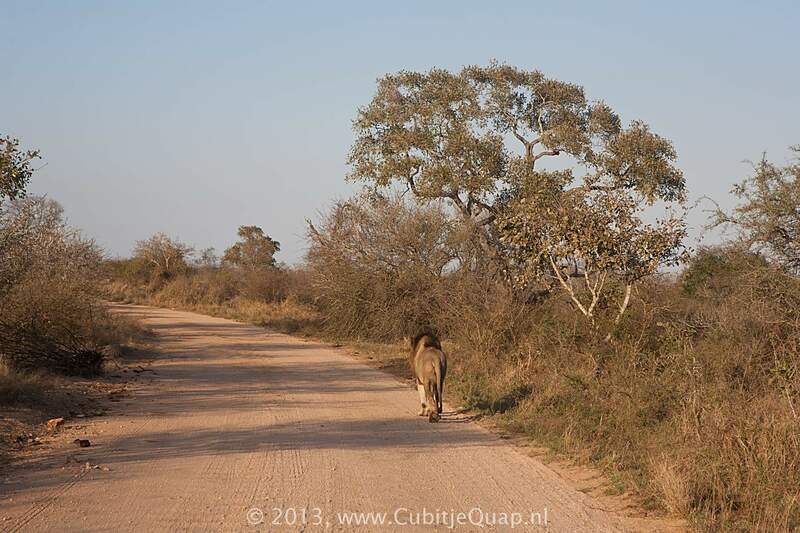 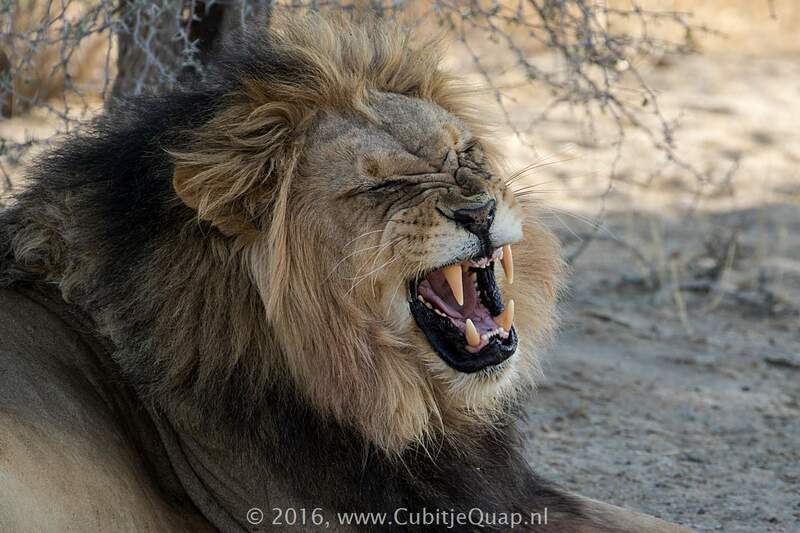 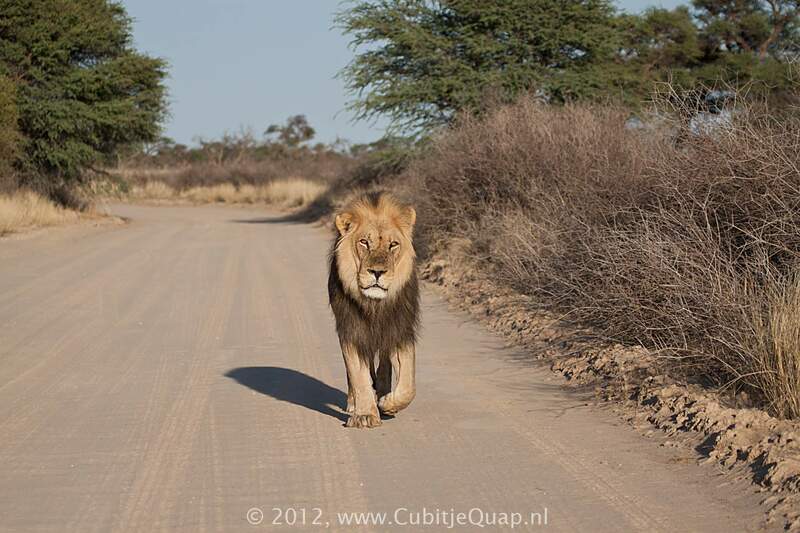 The mighty roars of the lion - audible over several kilometers - also serve to indicate that an area is occupied. 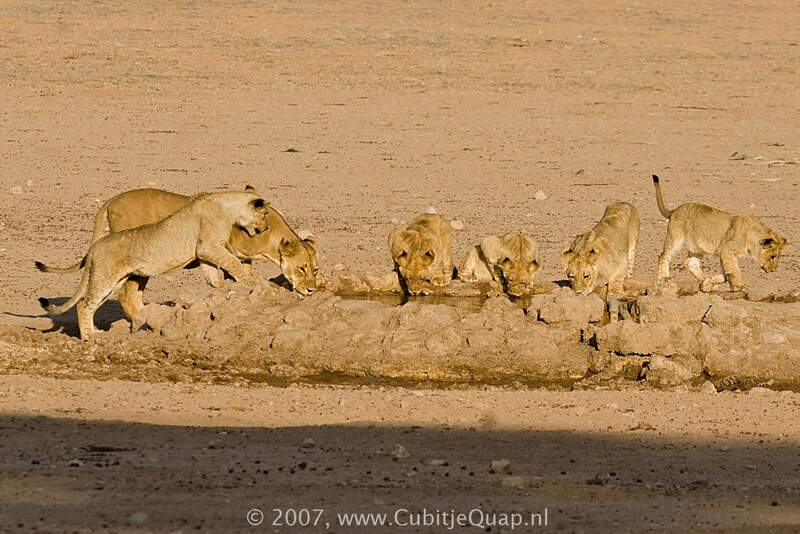 Most of their activity takes place at night and during the cooler daylight hours. 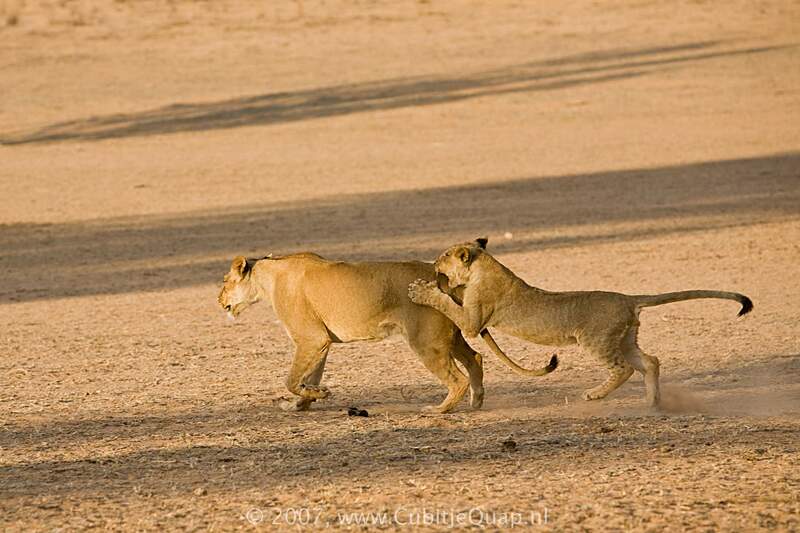 The females undertake most of the hunting, and despite the fact that the males play little part in most kills they feed before the females. 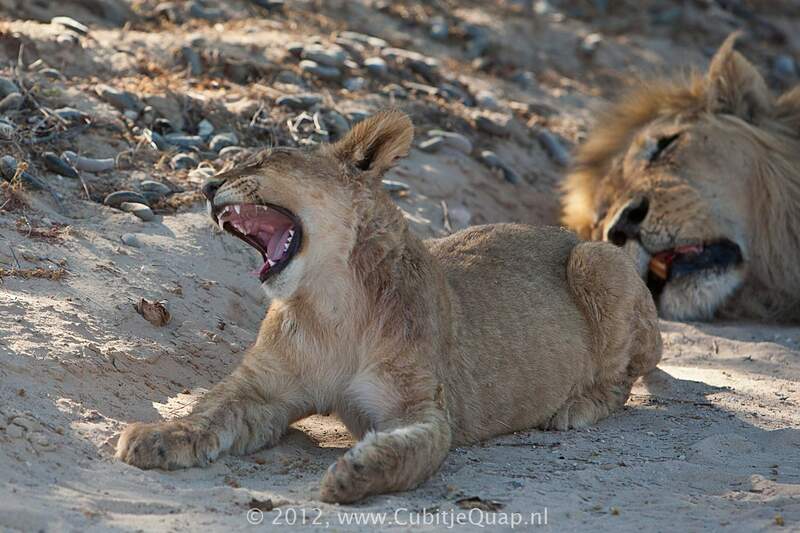 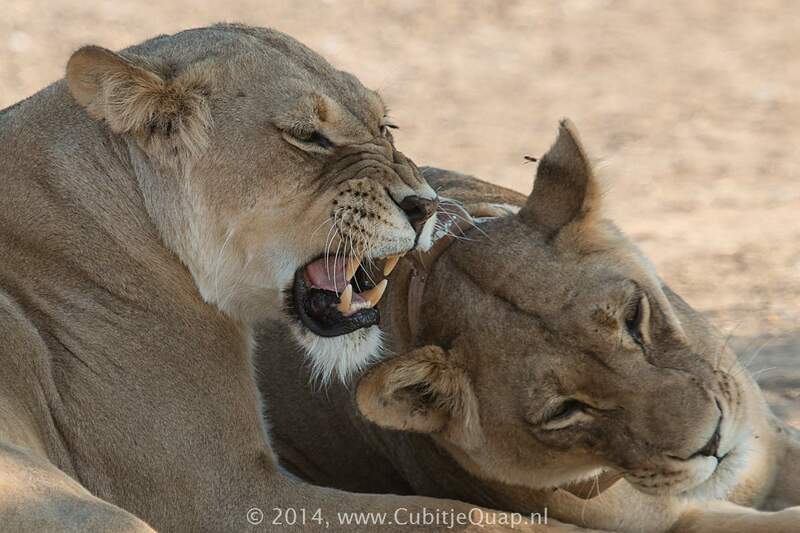 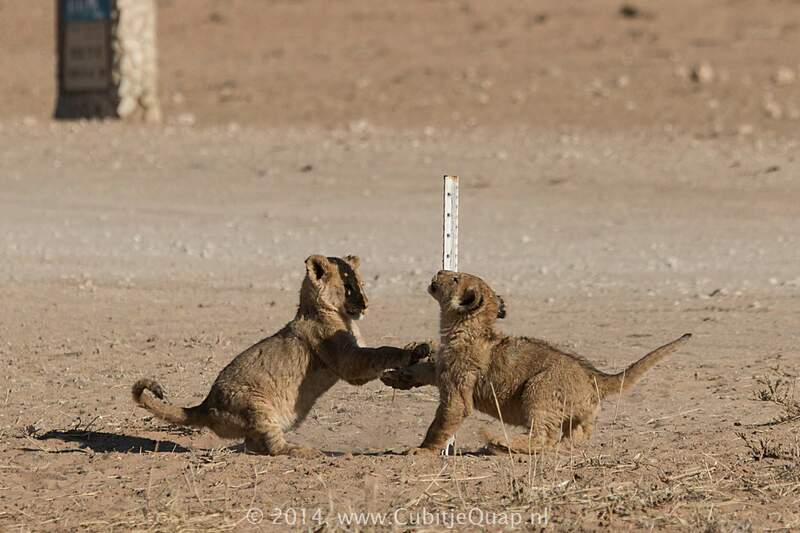 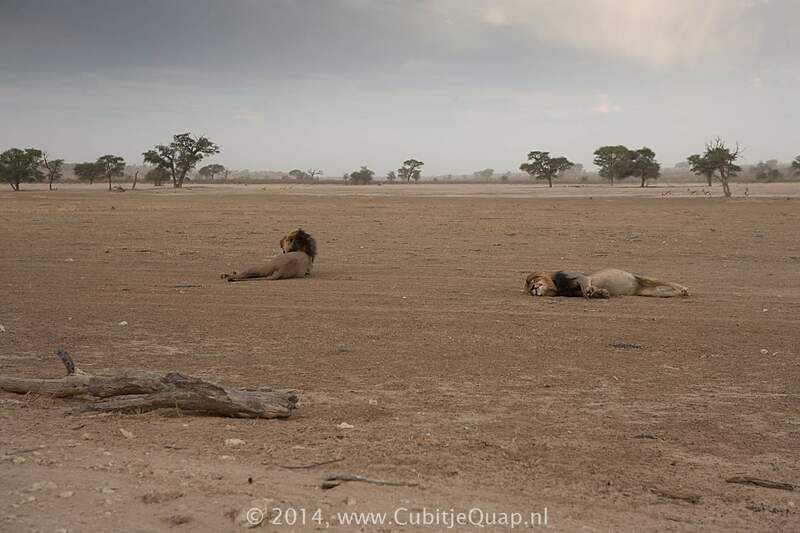 Cubs compete for what remains once the adults have finished their meals. 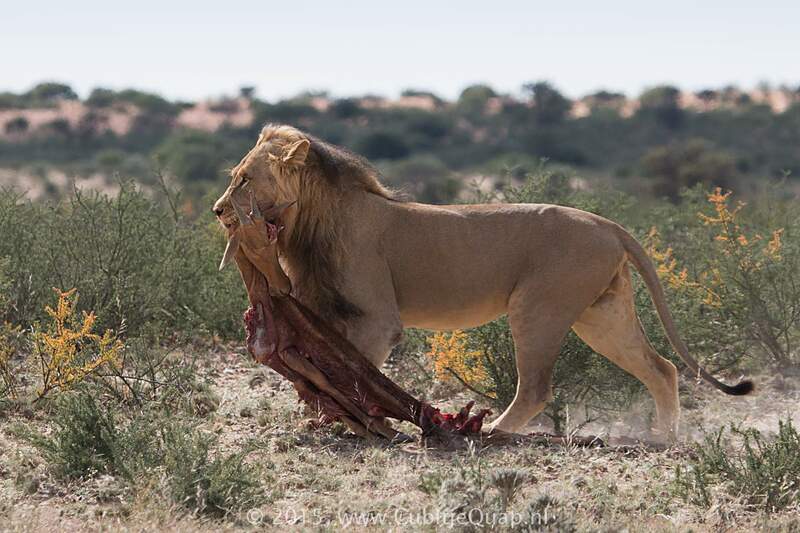 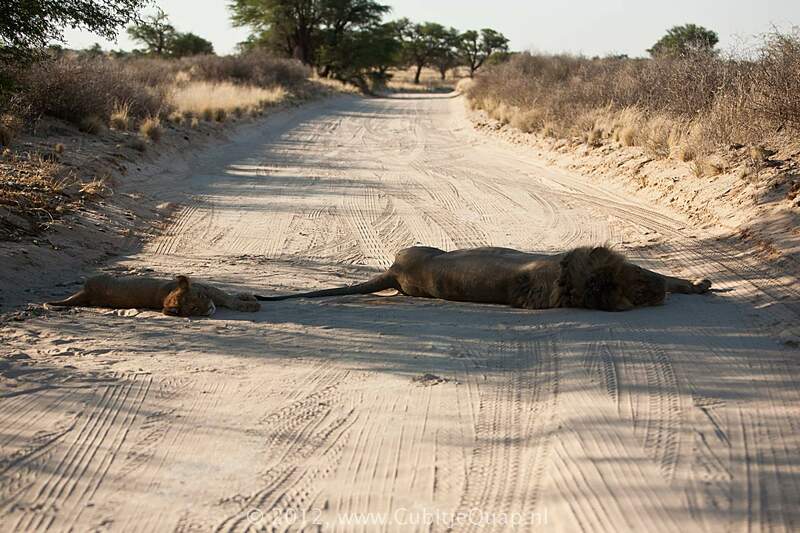 Although the lion is mainly a hunter of medium- to large-sized mammals, particularly ungulates, it will take anything from mice to young elephants as well as a wide range of non-mammalian prey. 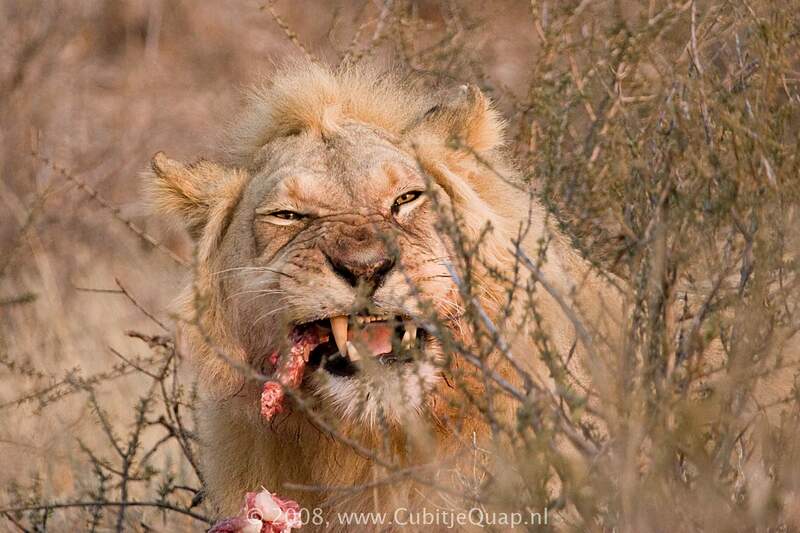 It also scavenges and often chases other predators from their kills.